On November 23, ICCAS welcomed Christos Stylianides, EU Commissioner for Humanitarian Aid and Civil Protection. The Commissioner followed an invitation from the EUMFH project consortium around Prof. Thomas Neumuth, which presented the first results of the concept development of a European emergency hospital. 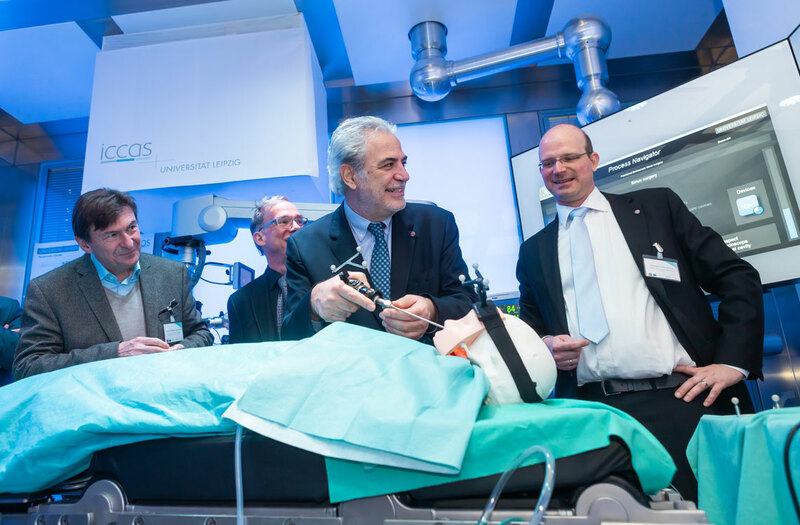 At the same time, he visited the ICCAS’s Intelligent Operating Room and a surgical robotics application. In a statement, Stylianides emphasized the high importance of science for this project and for further developments in disaster relief. ICCAS is the only partner of a European university. It participates with the electronic patient record and the networking of the information technology.